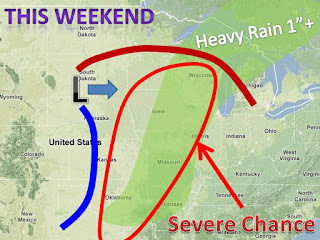 Look for a large storm to move through the midwest this weekend. 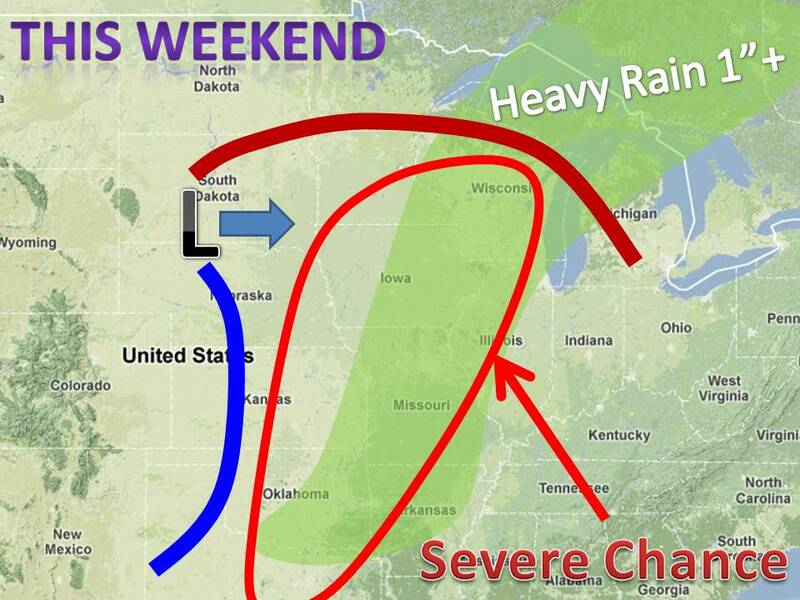 Heavy rain will be the main threat, along with damaging winds. The rain will be very well welcome in drought stricken areas. See map for more info.